Generally speaking we sleep with our mouth open when we have a blocked nose, we suffer from asthma and when we snore. However these are not the only times. Catching flies when you sleep is not only unattractive, it is also bad for our health and for our sleep. 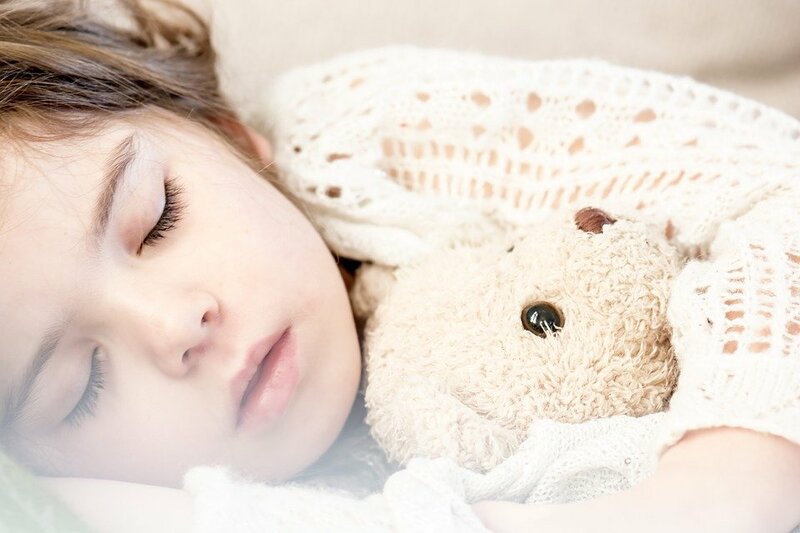 If you, your partner or your children have a tendency to sleep with your mouth open you should be aware of the implications it has on your heath. Read on to find out more as well as some simple solutions to prevent this bad sleeping habit. Why is sleeping with your mouth open so bad? Saliva helps to protect our mouth from bacteria and acidity. It there is less saliva in your mouth then this can quickly cause problems. A study showed that the mouth’s pH becomes more acidic when we sleep with our mouth open. People who sleep with the mouth closed have a pH of 7.7 in comparison to pH of 6.6 for those who sleep with their mouth open. However sometimes these figures can decrease to a pH 3.6 which is the equivalent to an oral acidity after you have drunk orange juice or a fizzy drink! This type of acidity can encourage teeth and cavity decay. Incidentally, this change in the oral flora can also attack the gums making them more fragile. Putrefying bacteria become take over and can cause bad smells and sometimes serious inflammatory reactions. Sleeping with your mouth open can also dry out the bronchial tubes and the throat, which can cause irritation, congestion and allergies. Furthermore, breathing through your nose rather than your mouth is crucial for encouraging the circulation of nitric oxide in the blood. Nitric oxide has lots of key functions. When we don’t produce it through sporting activities or through our food, we create nitric oxide when we breath through our nose. What’s more, when we get older we produce less of this molecule which is why it is important that you try to breath through you nose as much as possible especially at night. A lack of nitric oxide can cause chronic inflammations, a less effective immune system, pulmonary hypertension as well as effects to your cognitive and cardiovascular functions. This is is why you need to have a good dose of nitric acid. In the right quantities it can help you to lose weight, aide your digestion, better sporting performances as well as combating anxiety, depression and neuropathic pain. How can you tell if you sleep with your mouth open? Of course we don’t know if we sleep with our mouth open unless we know that we snore. It is easier to tell if someone close to us tell is that we do it. Nevertheless it is generally difficult to tell as we don’t really realise that we do it. You get up during the night, often to go to the toilet. Generally people who have sleeping difficulties like apnea also sleep with their mouth open. Keeping your mouth sealed shut: is this best way to have a good night’s sleep? First of all, remember that it is recommended that you sleep on your stomach or on your side, rather than on your back. This will just increase the risks of sleeping with your mouth open. What is more a healthy room is crucial. Make sure that you keep your room well aerated and cleaned to get rid of any dust or mites. You can even use an air purifier. You should also change your sheets regularly and try to do exercises so that you can work on your breathing. One dentist has come up with a rather unusual solution to prevent sleeping your mouth open. Mark Burhenne believes that you can simply stick your mouth shut with some sellotape before going to bed. (See video below) According to this specialist it will ensure that you have a deeper sleep while reducing the amount of times you wake up. This method has quick effects even if you wake up in the middle of the night with the sellotape unstuck due to your usual sleeping habits. There are no risks of suffocating even if your nose gets blocked in the night. Your body will naturally fight to breath and so will find a way to way you up. If you want to try this method you just need to get your hands on some surgical band aids or scotch tape that you can carefully apply to your lips before falling asleep. (Some say you can put Vaseline onto your lips beforehand). It might feel like a horror film but the solution works according to the specialist !